The lens choices are staggering really. Easily the biggest investment in your camera system is the lenses. Opinions vary greatly! It’s really not surprising because the cast of characters is grand! Professionals, amateurs, landscape, wedding, action, wildlife, still, portrait, weekenders, travelers, vacationers, the cost conscious and the vaunted impulse buyer… all have their opinions!!! With four different A7 models, the performance of a lens can vary on each camera! There isn’t a subject about cameras that I have more enthusiasm for and have spent more time on researching and blogging about. Several months ago now, we created the Un-Official A7r Non Native lens guide. 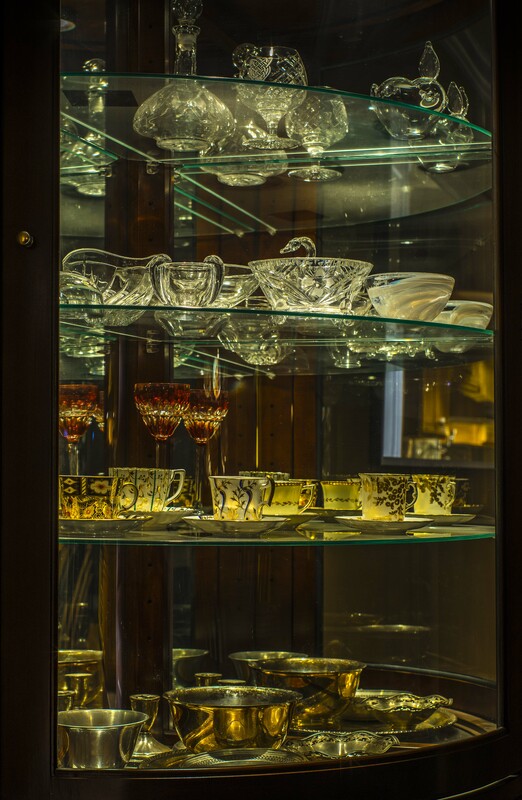 It’s a practical listing of lenses and their performance to assist in your lens search. It has become a valuable resource. While a recapitulation to some, what’s mentioned here is the ample experience of many who, in the last several months, used lenses on all models of the A7. I do come at this from the A7r perspective. If you have a flaw in technique it’s highlighted at 36mp. This will become even more the case in the rumored 46 megapixel “A9.” This is primarily a manual lens discussion. It’s not made for sports or action photography and arguments about poor Auto Focus performance are irrelevant. When used properly it has Medium Format ability. I also don’t wish to engage in a super scientific, picture laden exposé. Enough esplaining Lucy, lets get to it. The Natives are restless… The FE 55 1.8 has no equal in resolution until one starts talking Otus! A fantastic AF lens that makes the A7’s sing! 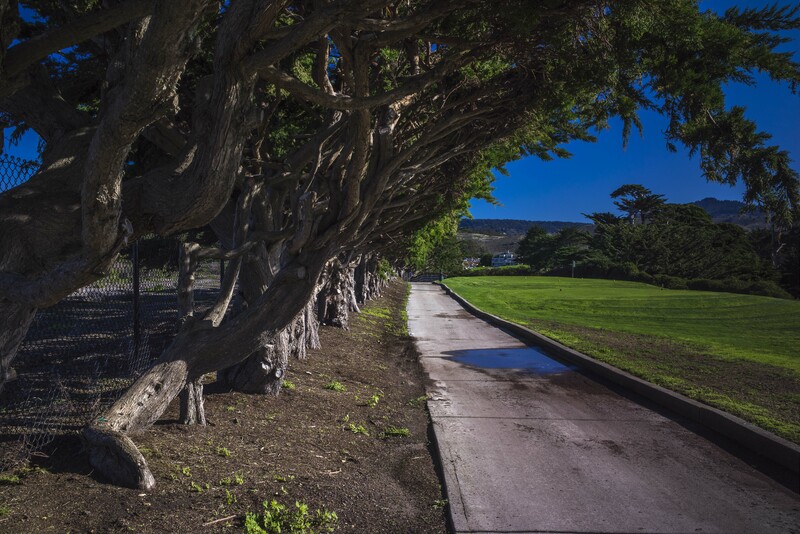 The Zeiss Loxia 35mm and 50mm provide exquisite performance in a pure manual lens. The Loxia 35 eclipses the performance of the Sony/Zeiss FE 35mm 2.8, because it’s faster and out resolves it. Have to give credit to Sony/Zeiss on their original 35mm lens though, for the size and money it is still the best, lightest thing going. It gets a bit dicey after that. Largely regarded as the best zoom in FE line is the 70-200. Sharp across the frame, versatile and for it’s size a great lens. The 24-70 and recently released 16-35 are major disappointments from most peoples standpoints(Brian Smith loves this lens!). Outstanding in the middle, they both suffer from noticeable edge degradation. People are starting to complain about distortion on the 16-35. That should be correctable in post processing. Both these zooms are more than a match for the A7, A7ii and A7s(particularly video). The original 28-70 kit lens produces very good pictures and is rated just below the other zooms. At this writing we wait for the next hopeful zoom, the Sony FE 24-240. A broader range than any previous releases and the longest lens to date. Another highly anticipated release are the FE 35mm 1.4 and the FE 90mm 2.8 G, I can’t wait! M mounted perfection… Rangefinder lenses include a few brands, most notably Leica. Voigtlander & Zeiss are the other two large players in this market. A few small companies like Sonnetar also manufacture M mount glass. 98% of these perform with no issues on the A7, 7s and 7ii. It’s when you get to the A7r that problems arise. Mostly with wide angle focal lengths, and particularly with the Zeiss & Voigtlander. Purple fringing and vignetting become evident on many models. Leica cameras, hence the lenses, are designed to utilize the Leica sensor and in camera processing. Sony’s BionX processor & sensor were specifically designed to handle the demands of the rangefinder line, but it’s not perfect. To handle the myriad of other lenses, there is minor trouble converting the edges on the A7r. Be wary of those who say how great these lenses are if they don’t mention which A7 it’s mounted to! One of the drawbacks of many rangefinder lenses is a relatively long minimum focus distance. To solve this issue, many will tout the Voigtlander close focus adapter as the Holy Grail of M to E adapters. Personally the Tinray-Helicoid has served me well and is less than 1/4th the price of the Voigtlander. 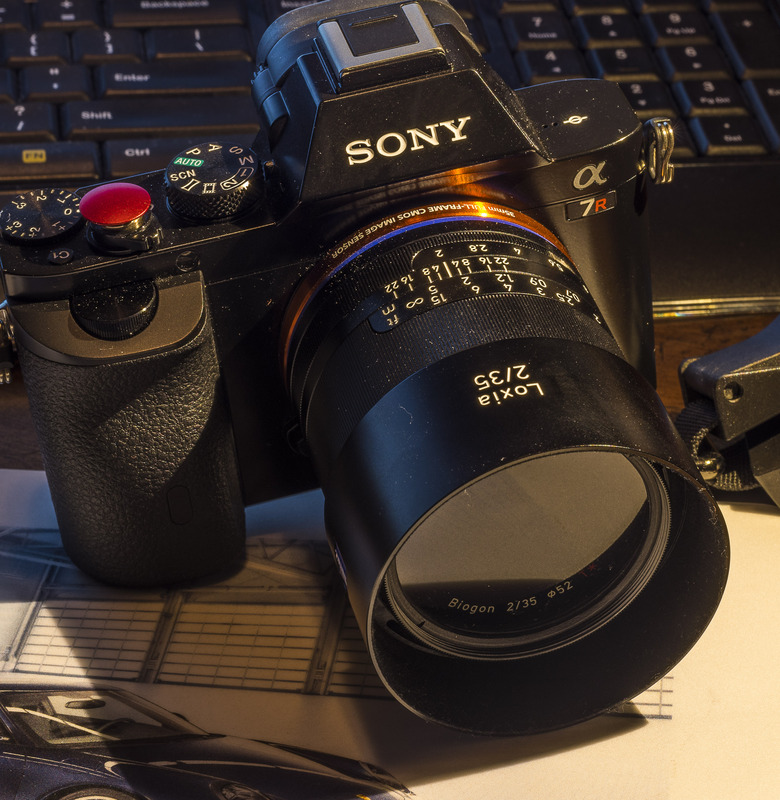 The only “smart” adapter option for Leica 6 bit lenses, is the Phigment Technologies, Leica M to Sony E mount adapter. It is a programmable adapter that recognizes lens type in camera and EXIF data(you do have to match aperture on lens manually to setting in camera). This adapter is still a bit quirky and might not work with every Leica lens, but Paul the inventor/manufacturer is quick on support and will even talk you through live! The Voigtlander line is easily the most cost effective of the bunch, but on the A7r, two stand out, the 35mm and 50mm Nokton’s… they of course are two of the pricy ones. The Roaring 50’s… Fast and furious! There are several fast fifties out there. Fast is considered anything @ 1.2 or below. These lens tend to be old, 1960 to the 80’s. Price range is between $400 to $5000! Most have exceptional bokeh and render in a classic film look in one way or another. The most sought after one of the bunch is the Canon 50mm .95 “Dream Lens” This beauty in pristine condition costs in excess of 5k. A good copy can be found for under 4k. It is pretty sharp in the center and is known for its soft dreamy edges. There is also a “TV” version of this lens which is equally good to my understanding. There have been reports of bad mount conversions(usually to M mount). Make sure it’s a trusted source or that returns are allowed. Listed below are several other great choices for manual lenses in the 50mm range. Konica Hexanon, 57mm 1.2 Great backgrounds, crisp in the middle. 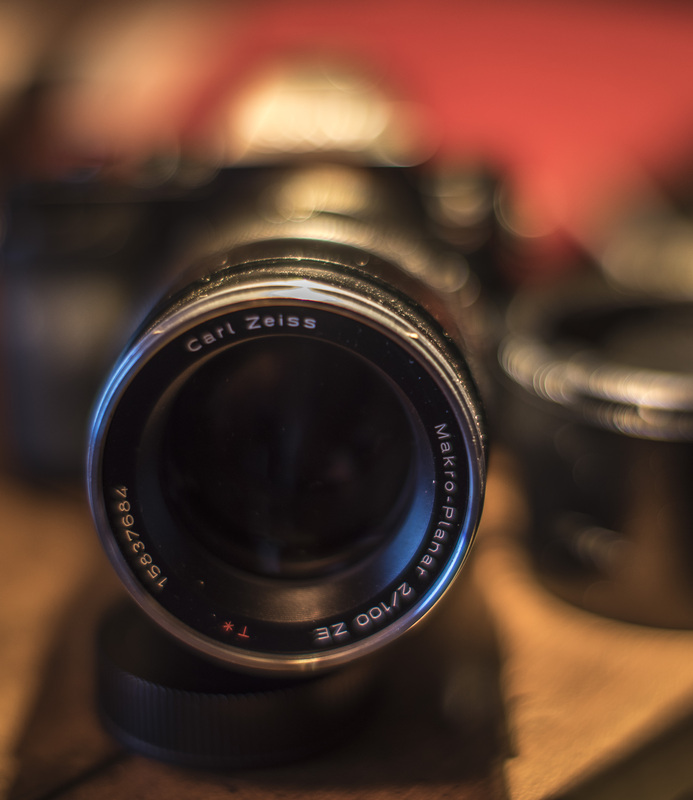 Minolta Rokkor 58mm 1.2 @ f11, not quite the optics of today, but very good! Minolta Rokkor 58mm 1.2 @ f1.2 A dreamy classic feel. The Canon FD, 50mm L, shooting the Hexanon. It has a red stripe and optically compares to modern glass. The FD “L” Canon & Mitakon will dent your wallet, at around $800-900. The others can be found in great condition anywhere from $400-500. None of them are lightweight or talk to the camera. Pure manual gold! There are others too! Canon and Nikon make wonderful 1.2 50mm’s in the EF and Ai models. Nikon’s suffer from lack of a “smart” adapter, and Canon glass, even with the Metabones, RJcamera, Commlite or King “smart” adapters run slow AF. The FD “L” version has a cousin, the FD 1.2, and is another outstanding lens, but not quite the “L” and 1/3 the price. Wide, wide and wider… This is a fairly short discussion, nothing has changed here really. The Samyang/Rokinon/Bowers 14mm 2.8 at around $300 is a great alternative. It has been reported by many to have pretty severe production variances. Make sure you get a good copy at the store or be prepared to send it back if bought online. This lens produces great pictures, comes in an E mount and is full frame. Distortion is correctable in Post Processing. It’s only drawback really is that it doesn’t take screw in filters. Can’t put it in the great landscape lens category when it won’t take a circular polarizer. If you can afford it, the Zeiss Distagon 15mm 2.8 T* has no equal here. It’s big, expensive, ($2995) and worth every penny. The ZE version is electronic and communicates with the camera. No autofocus here either. Famous wildlife and landscape photographer Art Wolfe, when asked which lens he’d choose if given to him…. The Distagon 15mm. If money is no object, the Leica WATE(wide angle tri elmar)has to be mentioned here although it also belongs in the Super Lens or M mount categories. It’s a 16-18-21 manual zoom lens that has no ill effects on the A7r. It’s also about 6k new. Good copies can be had for $4500 on the used market. It’s a bit over a third of the weight of the Zeiss, has a bit different feel to it, and damn near as sharp. Longer options… Portrait & macro lenses abound as well for these cameras. Optically the four best are the Zeiss 100mm Makro Planar, the Apo Sonnar 135mm & two Nikon lenses, both 85mm, the 1.4G and 1.8G.. The Zeiss’s are available in Canon or Nikon mounts. I like that the ZE(Canon), communicates with the camera. Nikon versions, ZF.2, feature separate aperture control, but no EXIF data. Much more cost effective are the Canon FD lenses, which all perform very well on the A7’s. Same is true of the Minolta Rokkor line. Pentax’s Takumar line has lots of participants, especially in 85 and 135mm. All three make zooms that function well. The more modern Minolta lenses have great AF performance using the La-ea4 Sony Adapter. The Mitakon 50mm, .95 wide open,capturing the near perfection of Otus! The Super Lenses… What’s a super lens? Costs at least $4000 for starters, has UN-paralleled optics and has a feel or characteristic lesser lenses can’t match. Zeiss engineers were told to create the perfect lens, no expense spared. They gave us Otus…. the clouds parted, people sang. The $3990 55mm 1.4 Otus is nearly perfect, with almost no distortion and CA(chromatic aberration). Optics are medium format quality or beyond(See my flickr page for several shots with both Otus lenses.) The 55mm rates at 50 on DXOmark,(on D800e, same sensor as a7r & no low pass filter). Recently the Otus 85mm, 1.4 was released. Slightly more expensive than the 55mm at a mere $4500, it rates a 49 on DXO. Both these lenses are quite large and some would say defeat the purpose of the compact A7 series. Judge for yourself, I think the quality is un-matched. The next super lens… Leica Noctilux, 50mm .95. Almost $11k… While none of the Leica lenses are rated on DXO, this masterpiece would rate high! Clinically sharp at any f stop, it has un-rivaled character wide open with an ability to get soft and dreamy. The two older versions of this Leica beauty, the 1.0 and 1.2 Noct’s don’t get nearly as much attention, but are both monuments to the camera world as well. Aldo Nova’s song comes to life here! Fantasy. Conclusions, conclusions!… For wonderful retro moodiness and great optics as well, the Leica 35mm, in a variety of models are superb. While not quite super lens money, they are pretty superhero’ish… Another intriguing lens is the Trioplan. 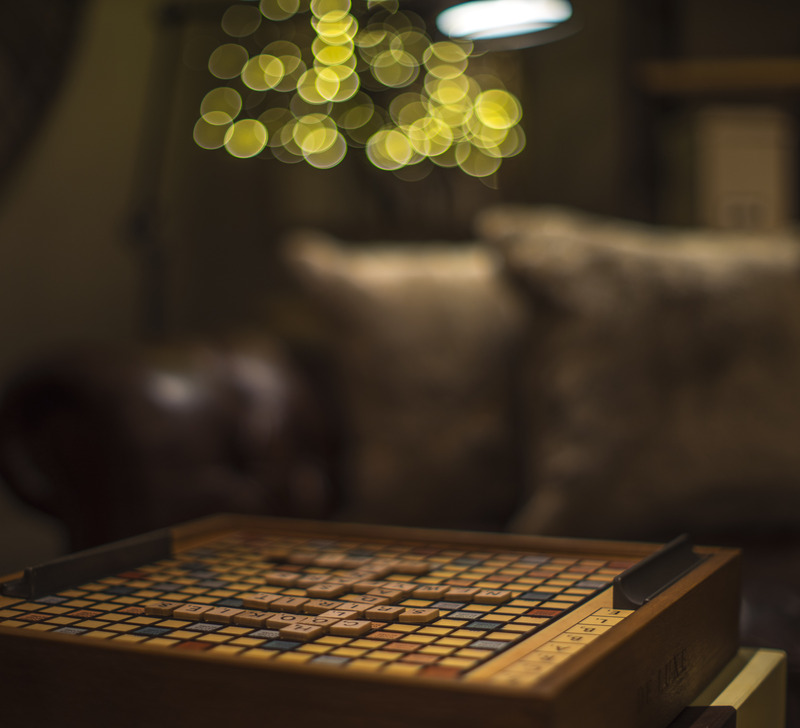 It has a much different bokeh than other retro lenses and many like it’s aura. Many of the E mount lenses designed for the NEX series and a6000(aps-c) perform very well on the A7’s. They can be shot at higher res in full frame mode, then cropped in PP or shot without adjustment in aps-c mode with corresponding drop in resolution depending on which model you’re using. Many people are fans of Sony or Sony/Zeiss A mount lenses. With the La-ea4 adapter these shoot quite well and are generally more cost friendly. The downside of this is the adapter weighs an additional 160g and because it has it’s own mirror inside, it affects image. There is a tremendous increase in AF performance using this adapter with the A mount or Minolta AF glass. Credits to…. The people who regularly contribute to five Sony forums on Facebook… inspire, anger, teach and are friends. A7/A7r Shooters, A7-A7r Photographers, Sony Alpha Camera-Talk, Sony A7-Sony A7r-Sony A7s, & Sony A7/A7r. 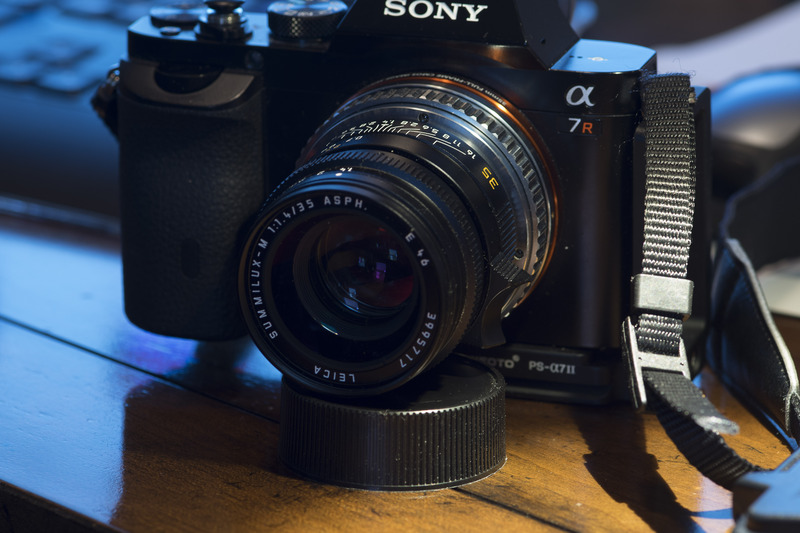 Lens alternatives for the Sony A7r, the worlds preeminent full frame camera! There are so many soothing lens options for the A7/A7s/A7r until additional FE lenses come out. I do enjoy playing the villain a bit with the FE lineup. Yes, I’ve complained pertinaciously(see definition, fits perfectly), but I do have faith that Sony, Zeiss, perhaps Sigma, or others like Rokinon, Samyang etc. will drop in another hole in one (like the FE 55mm 1.8. ), specifically tailored for the FE Mount. I’ve composed a pretty good list, which is always subject to debate and taste, of the lenses I use and other standouts. Most have to take screw in filters. I photo a lot of water and need polarisers. I won’t deal with back filters or Lee systems etc. I’ve seen guys tape tinted glass on their cameras…. not for me. All lenses on the list have a DXO mark rating of 27 or higher. 27 seems to be the cut off from ordinary. Finally, full frame capable. Going to cropped for some extra range is nice at times, but basically want all the picture you can get. The Zeiss Distagon, 15mm 2.8 Cost, $2950… is considered by many, the best wide angle ever made. See Ken Rockwell, the Digital Picture, 3d-Kraft. There is even a M mount version $3900+/-, that’s slightly smaller than the Canon ZE, or Nikon ZF.2. 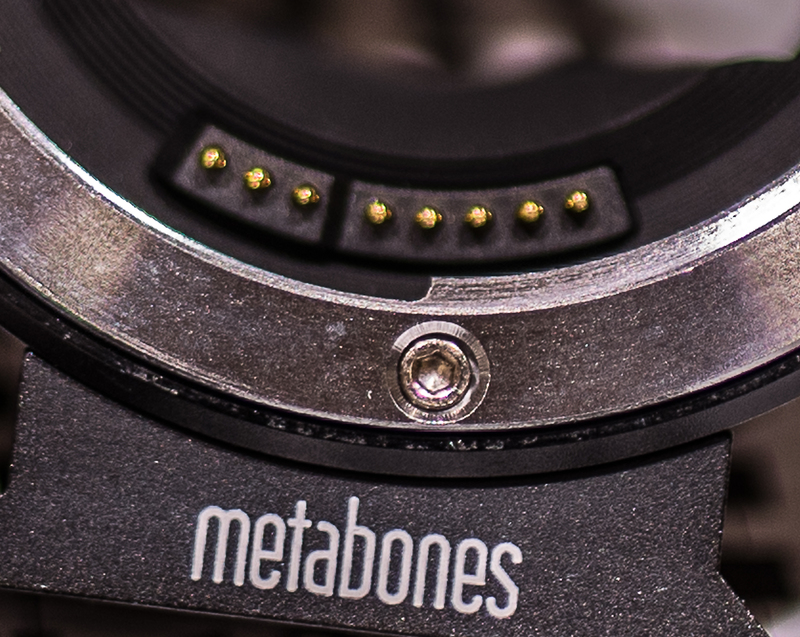 I believe at this time, only the Canon version, with Metabones or RJcamera smart adapters($269-$399), will show all data in the camera and are full frame compatible. The filters, $200-$300 ea. It’s the best, what can you say? Since the A7’s have come out many people like to throw the 14mm f/2.8 Rokinon/Samyang/Bower, etc into the mix. It’s a low price alternative, around $400. It takes no filters and has high distortion(can be alleviated fairly well in post processing). Image quality and resolution seem very good. It weighs less than the Zeiss and looks like a fun lens. There is a Canon version that will transfer data through the adapter. If you’re a Leica fan, and I’d love to try this lens, the Leica 21mm f/3.4 Super Elmar M Lens $2995. It does take filters(46mm), it’s the most lightweight of the three. You will need an M to Sony NEX adapter. Manual focus only. The 3 DXO wide angel lens specs. The Sigma, Art 35mm 1.4 DG, So far, in limited use this lens is crisp. In larger landscapes you sacrifice some DOF by topping out at F16, as the Cape Flattery shot illustrates. I’ve seen some incredible shallow DOF shots in the forums. 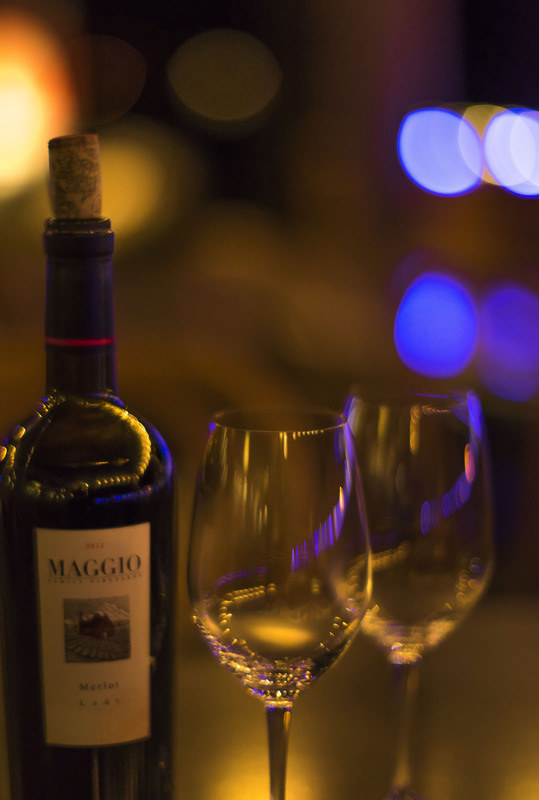 The three following shots at our new restaurant, highlight the lens capabilities wide open. Sigma 35mm A 1.4, shot @ 1.4 1/400 sec, hand held. The detail in the middle of the planter is fantastic. That’s not distortion, the board is very warped. It’s not a light lens @ 665 grams. Cost $900, takes 67mm filters. It has a very good price to quality value. You can buy any Sigma lens with a Sony A mount, which when coupled with the La-e4 adapter has excellent AF. 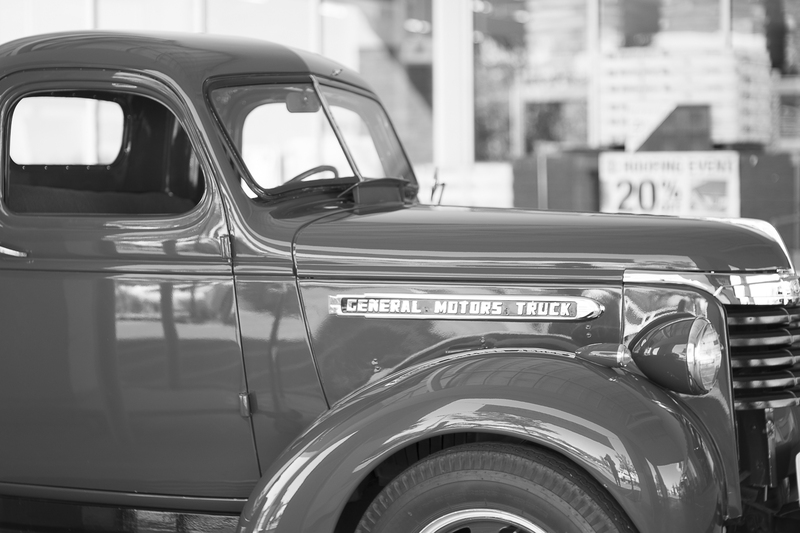 Several manual focus gems are out there and if anyone would like to loan one to me…. 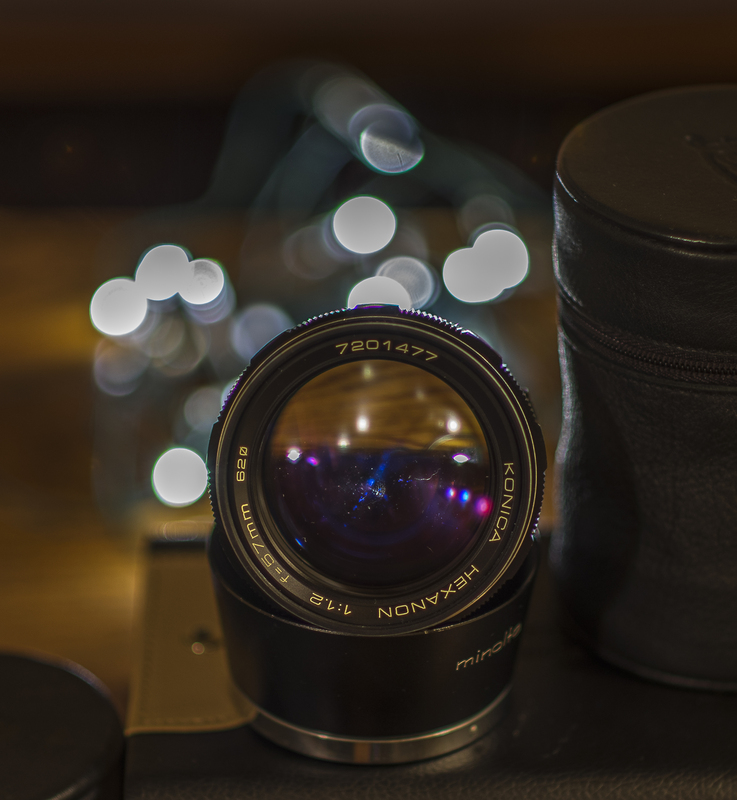 the Voigtlander 35mm F1.2 Nokton Leica, Leica Summilux-M 35 mm f/1.4 ASPH or the Leica-Summicron M 35mm f/2 Asph. Read the Gear Patrol review on 35mm lenses for additional info. Thanks Sammy Hagar. The 55mm, FE Sonnar T* 1.8 ZA pretty much ends this conversation about 55mm lenses for the A7’s. Best auto focus 55mm ever tested according to DXO, SonyAlphaRumors. Shoots outstanding video with all three cameras. 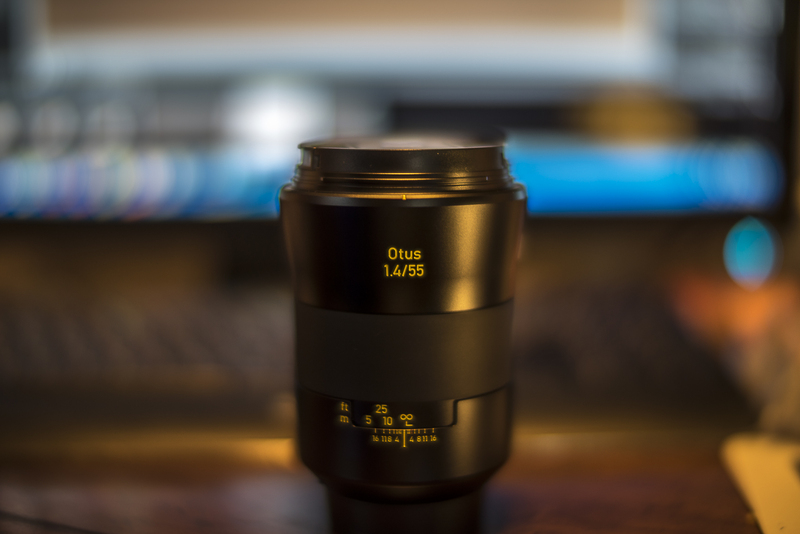 The only lens better is the OTUS, 55mm. The Otus is a tank(3 1/2 times the size of the FE), has close to perfect optics and is manual focus. In four Sony Facebook Groups, only 55 talked about… is the FE. There’s too much territory to cover in great detail in this class, but here are some awesome choices! Wonderful transitions in focus on the Zeiss, 100mm Makro Planar T*, ZF.2. 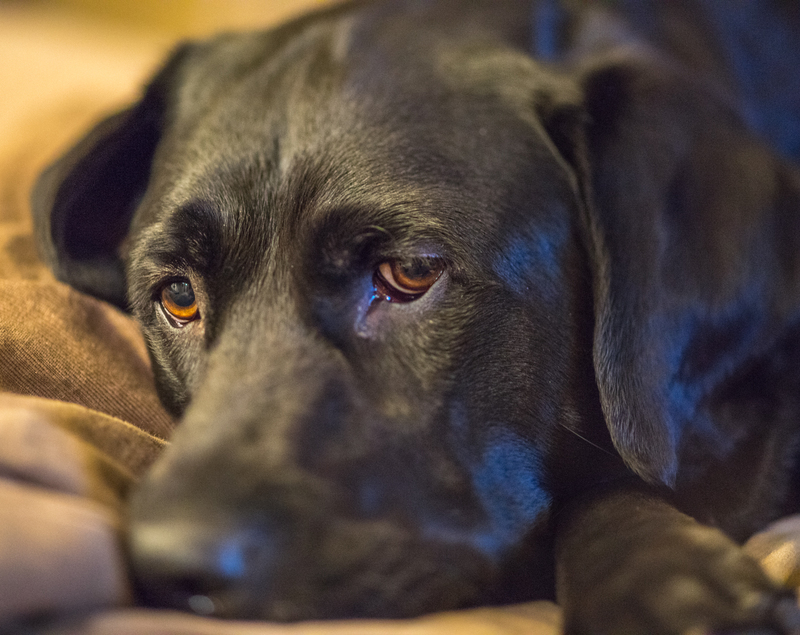 Flash, our Black Lab sitting on the bed…. Minolta Maxxum 100mm f/2.8 Macro $400 used, See Ken Rockwell review. I’m lucky enough to own three of these lenses. My backup camera is a 5D mk III and two of them fit that camera too. Today on a budget I’d track down a Minolta. It was produced in a Sony E mount and should be a rock star on the A7r with a Le-a4 adapter. Can we get some Zoomage please! This is by far the hardest category and the most controversial. Forum wars with comments near a 100 per thread, are common. This series started out over disappointment in the Native 28-70 FE kit lens, and the Zeiss Sony 24-70 Vario Tessar T* FE F4. The 24-70 Tessar is damn good in the center, comparable with any of the lenses. It just loses clarity on the edges, which is really bad for a landscape photographer! Hope springs eternal on the about to be released FE 16-35mm F4. Sony did well in their “G” 70-200 FE lens(see DXO comparison of these native FE lenses). It’s good edge to edge, has excellent resolution, and AF on the A7s & A7 is fast. It’s certainly worthy of leaving the other macro lenses at home and getting great shots if you want to go light. For now I’ve put my money into a Sony Vario-Sonnar T* 16-35mm F2.8 ZA SSM, $1600, plus the La-e4 adapter. The Sonnar T* design really shines edge to edge. It will arrive Thursday and hopefully I will report nothing but rave reviews! 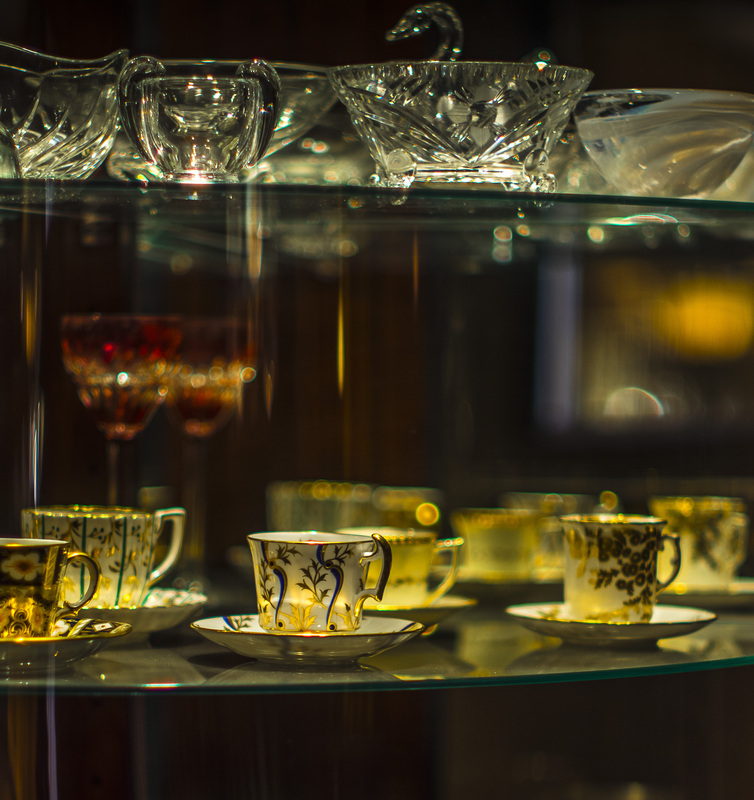 which I’ve used extensively on the 5D Mk III, is a wonderful lens. It looks like the most popular lens in the Sony Forums as well. Price to value is very good. There are many other lens options that work very well on this system. One forum going pointed out that the old Canon FD lens with adapter are another wonderful choice. They are expensive in the open market, but if you run into one, grab it and get the Canon FD to Nex adapter(there are several inexpensive alternatives). The optics from what I’ve researched are outstanding and there is a variety of focal lengths. I don’t talk much about Nikon glass. Until someone puts out a Nikon “smart” adapter, they remain manual focus with no information transferred to the camera. Nikon’s best lenses are well known, ez to research and are great choices in many cases. Right as I was winding down this post, a couple sources said that 5 of the ZM mount, manual focus, Zeiss lenses are going to be re-released with the FE mount. Hopefully so! Hanalei Pier & turning points in life’s teachings. Noctilux, Canon, and the Mitakon 0.95’s… Holy Crap that’s fast… Part II of the Fast Fifties. 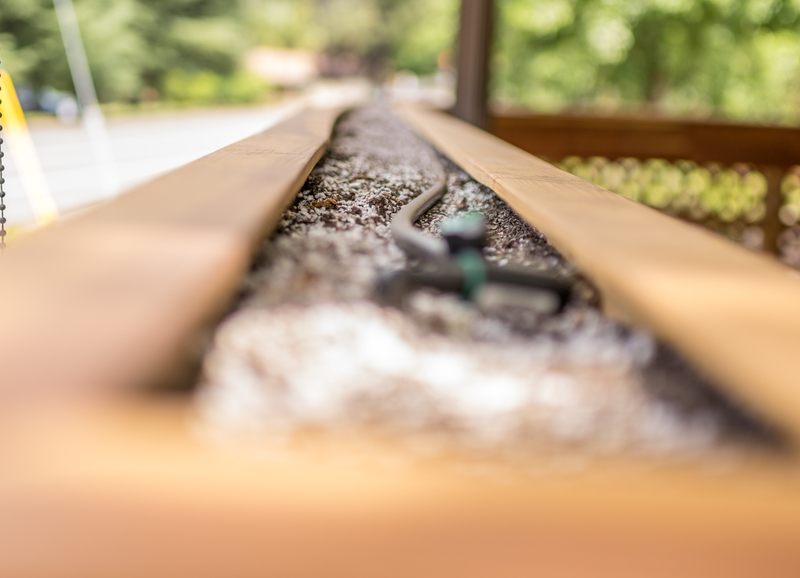 Shuttershock on the A7r… shhh utter nonsense?